To provide a personalised health and fitness service that achieves results and unlocks the potential of everyone. Hi, my name is Sean Burgess. I am a Personal Fitness Trainer, Sports Coach, Academic Lecturer and Qualified Masseur who has been working in the Fitness industry since 2006. 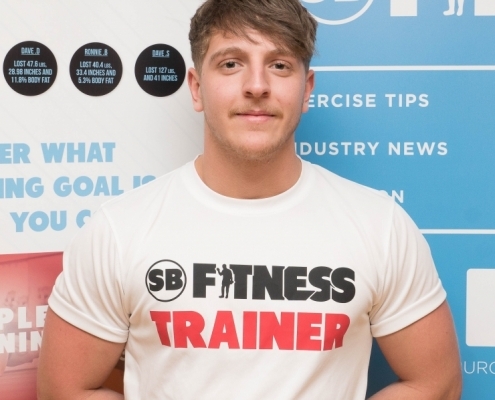 To give you some background about the journey to founding ‘Sean Burgess Fitness (SBF)’ it all started in 2010 a couple years into my student life at Bournemouth University where I attended after relocating to the South-West from North London. Heading into the 3rd year work placement of my degree I made the decision to brave it and start my own self-employed personal training business instead of seeking employment elsewhere. Pleasingly the decision proved to be justified, as I was able to build an immediate client base and quickly became the busiest trainer within the gym where I worked from. Now many years on I have delivered more than 25,000 personal training sessions and I don’t intend to slow down anytime soon. In the time from 2010 to now I have worked with a diverse variety of clients which ranges across many different demographics of the general public to Elite International Athletes in Athletics, Football, Fencing and Rugby Union to National and Regional Champions in Kickboxing, Swimming, Golf and Gymnastics. As you might expect there has been many true-life changing transformations in this period ranging from clients losing between 5 and 10 stone in weight to others gaining 20+ kilo’s in muscle to those which have just enjoyed completing a fitness event or successful rehabilitation period before going back into competitive sport or normal daily living activities. To qualify as a specialist fitness trainer, I have a CPD and academic record that includes a BSc (Hons) degree in Sports Management and an MSc degree in Sports Science Strength and Conditioning. 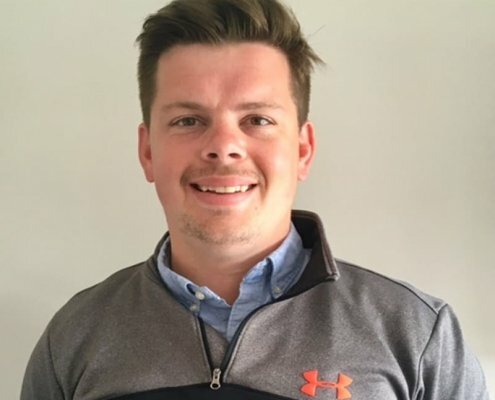 In addition, I have acquired coaching experience in elite sport with Enfield Haringey Athletics club and Rugby Union clubs including London Wasps, London Welsh, Saracens and Bournemouth RFC. Alongside running Sean Burgess Fitness and delivering personal training myself for groups and individuals I also lecture on Sport and Fitness at Bournemouth University and teach/assess for different professional fitness qualification providers such as Premier Training International. In addition to these roles I also oversee and deliver the strength and conditioning training at the Dorset Dockers Rugby Football Club and in the past I have also coached numerous Dorset county rugby union squads, in addition to local school and adult senior sides. Because long-term satisfactory and sustainable fitness training results in a lifetime are often limited to a few, it is our mission to increase these statistics and leave a legacy for others to also achieve the goal of great health and fitness. What the fortunate individuals who achieve success have in common is they accomplished their goals as a beneficiary of having positive psychology, born through a stimulating environment which counsels correctly tailored exercise and nutrition. We believe that education for a deeper understanding of any task is the primary key to sustainable results. In recognition of this we (SB Fitness) are determined to provide an unparalleled level of client service for every individual that we work with. Unquestionably creating confidence and trust in our focused strategy is crucial for us to deliver on our mission outlined above. To achieve this, we aim to provide every client with truly personalised exercise and nutritional choices, born from a comprehensive assessment of their body composition, bio-mechanics (movement), health, fitness level and lifestyle choices. Despite many years of coaching going by I still take immense satisfaction in seeing the physical and psychological transformation of any client, small group or team achieving their goals; unquestionably I am as passionate now about what I do as I ever have been. You can be rest assured that all of my other trainers share this same passion and strive like myself to keep seeking further improvement in themselves to attain even greater results with their clients.